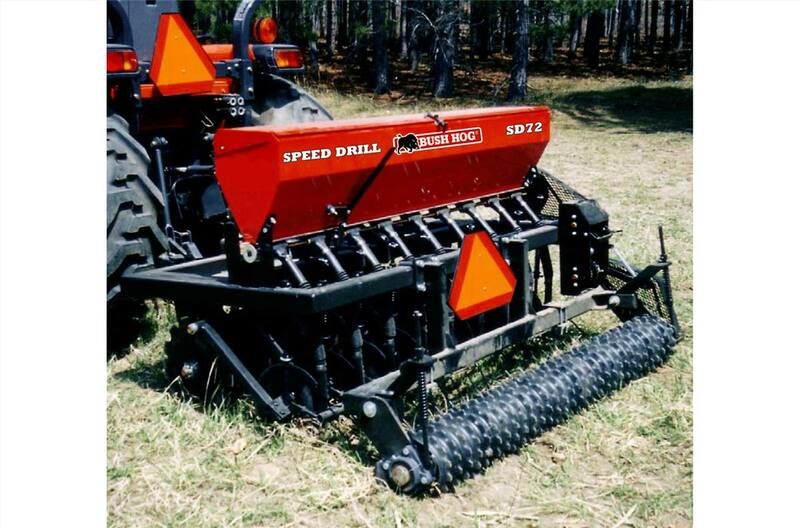 Designed with versatility in mind, the Speed Drill utilizes a unique Seed Metering System that makes the Speed Drill capable of handling a wide variety of seed types, all with the same seed box. 16 in. straight coulters slice the ground, followed by 14 in. concave openers to form a seedbed trench. A 3-speed transmission and precise adjustment of the seed metering slots allow a wide range of seed rates. The gear box is easily accessible for quick changes. A full row of heavy-duty cultipacker wheels follow up to ensure premium seed-to-soil contact. Front Disc Spacing: 8 in. Cultipacker Assembly Wheel Diameter: 10 in. Working Width: 96 in. ; Overall Width: 100 in.